Here are a few pictures of Larry Hildebrandt's layout (Fallen Flag). Helix from Larry Hildebrandt's layout, the Badger Central RR. 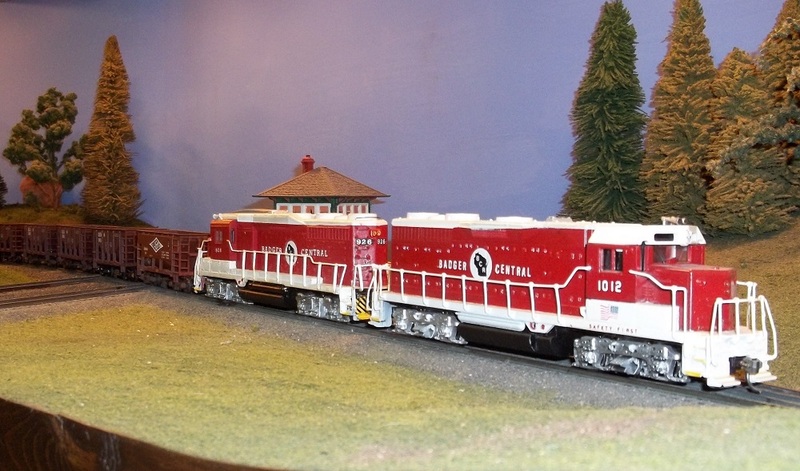 Engines from Larry Hildebrandt's layout, the Badger Central RR, now on Roger Hildebrandt's Evergreen Hills and Allen Creek Railroad. 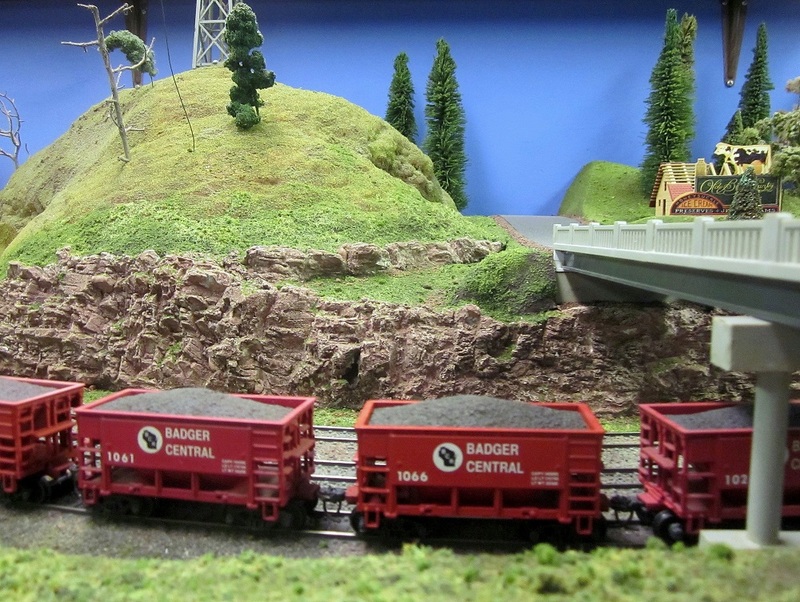 Ore cars from Larry Hildebrandt's layout, the Badger Central RR, now on Roger Hildebrandt's Evergreen Hills and Allen Creek Railroad. An O scale ore car from Larry Hildebrandt's railroad, the Badger Central RR, now on Gordy Sauve's Amherst Junction Shortline Railroad. Larry followed his son into model railroading. 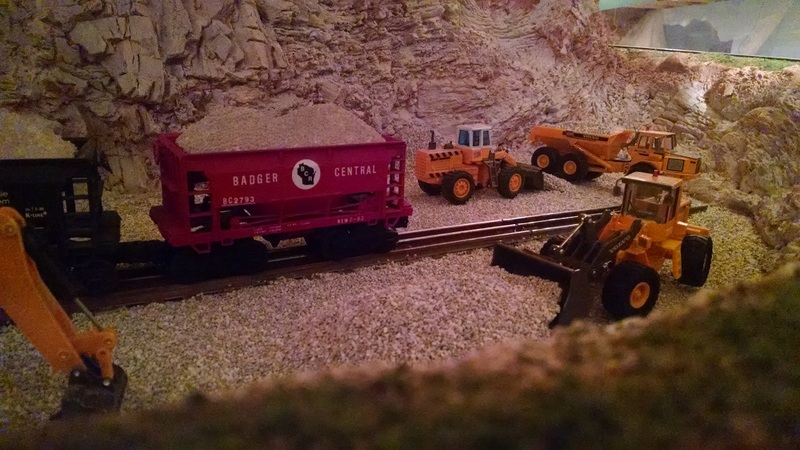 After moving from the Neenah area he joined his son Roger and the growing number of members who met with the Willard, Cliff and Mike to work on the HO layout. In another vacated room in the back of his garage, Larry founded the Badger Central Railroad with its eye catching red and white color scheme. 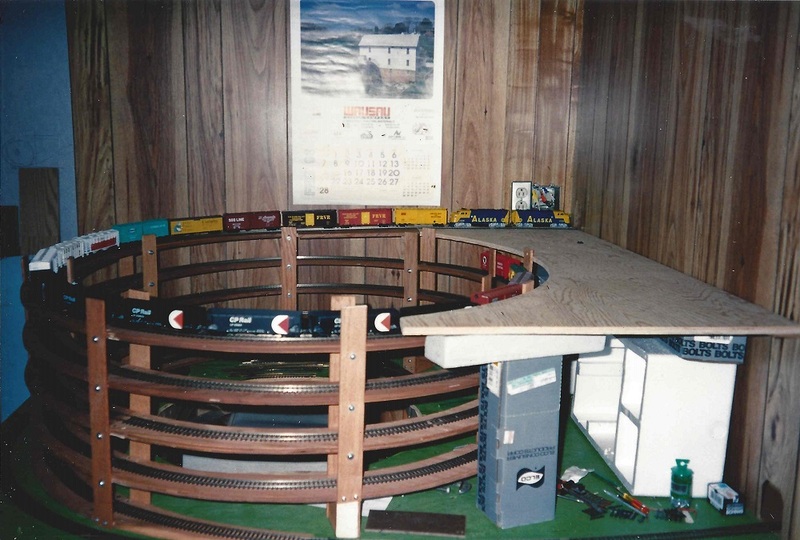 Larry modeled in HO gauge and had a helix built on one end enabling him to increase the length of his mainline and accommodate more industries. Amongst the pictures in his presentation is the only O gauge car he built. The car was custom painted and decorated for Gordy Sauve’s Amherst Junction Short Line railroad.